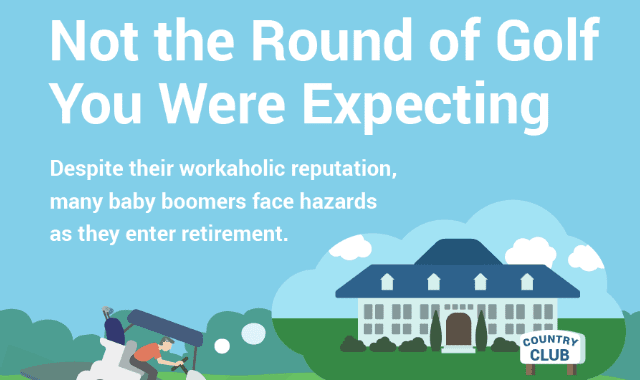 Why Retirement Isn’t Always Relaxing #Infographic ~ Visualistan '+g+"
According to today’s infographic, 3 out of 4 retirees don’t receive money from a pension fund, and nearly half leave the workplace earlier than expected. Retirement can be a difficult reality for many people. We might dream of traveling the world in our golden years, whether it’s cruising around the Caribbean or touring Europe. Of course, we’ll want to leave our estates to our families. But for many baby boomers, just getting through retirement is a struggle. Have a look below!